Hair restoration practices in both major and secondary metropolitan areas are finding it difficult to obtain qualified patient leads. 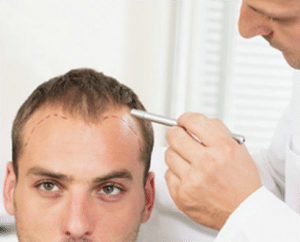 How can a hair transplant expert spend his or her marketing budget effectively? Spreading your budget across AdWords, BING, and other ad networks can be costly if not done strategically; as it isn’t just about finding search terms, but also includes A/B testing ad copy, landing pages, and different types of digital campaigns. Third-party directory services aren’t exclusive, so most prospects don’t convert into patients. PeytonDigital’s proprietary and highly effective program can be set up quickly, so that you’ll start receiving a continual stream of exclusive branded leads almost immediately. The best thing is that these individuals have expressed interest in your services – which makes them highly qualified prospects. In fact, in as little as a month or two, your increase in new clients should more than offset your small digital marketing investment.